This is another from the several photos I took while in the Bay Area in the summer of 2002. WebEx was started in 1996, and acquired by Cisco in 1997 2007 in a multi-billion dollar deal. 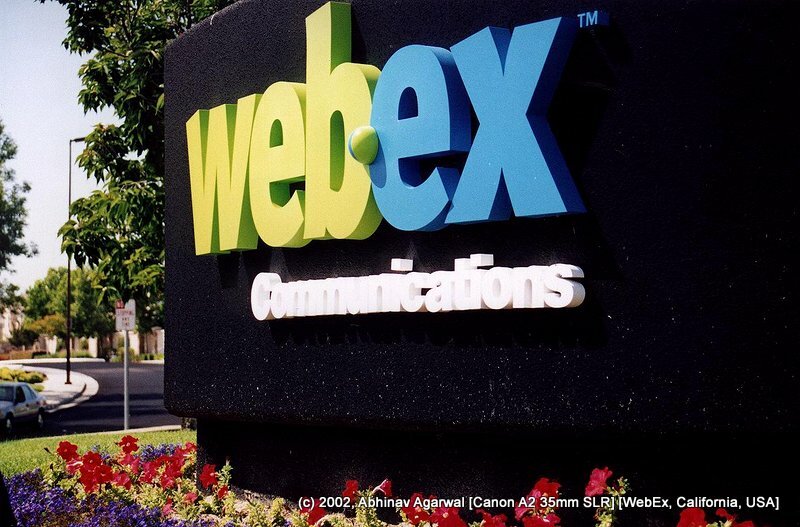 Cisco has continued to preserve the separate brand identity of WebEx, and has allowed WebEx to grow into a leader in web conferencing, despite the presence of several competitors.